Modi said that even today, the Congress is reluctant to speak on the issue of Pandits but "this chowkidar is promise-bound to resettle them on their land. This process has already been started". 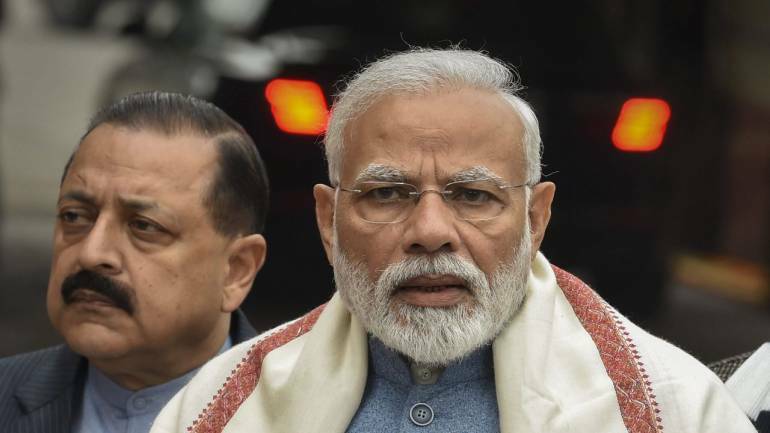 Prime Minister Narendra Modi on April 14 said he is committed to resettle Kashmiri Pandits in the valley and to provide citizenship rights to PoK and West Pakistani refugees who settled in Jammu and Kashmir after migrating from across the border decades ago. "It is due to Congress's policies that my Kashmiri Pandit brothers and sisters had to leave their homes. The party and its allies witnessed the atrocities committed against Pandits but they paid no heed," the prime minister said. He was addressing an election rally here in support of Union minister Jitendra Singh who is seeking re-election from Udhampur parliamentary constituency. "We are making continuous efforts to provide them citizenship. On May 23, when election results are announced and once again the Modi government comes to power, efforts will be restarted to pass the citizenship act," the prime minister said. "It is the party which is parroting (demand for) justice, but it is only to deceive the people," he said alleging that "generation after generation, it deceived the people in the name of justice to achieve its political interests". Seeking votes for the party, Modi said the chowkidar was making sincere efforts for the people's security and prosperity, while maintaining honour and dignity. "Your vote in 2014 paved the way for reservation for border residents, 10 per cent quota for poor families in education and government services, besides uplifting the standard of living of poor families who got their own house, toilets, free LPG and electricity connections," he said. "You vote on April 18 will increase the pace of development works, cause sleepless nights for some people across the border and will also strengthen Modi," he said. He said it was not just an election for members of Parliament, but the people would also approve a 'Naya Bharat' and 'Nayi Neeti' (new policies).